and stay informed on the cloud. 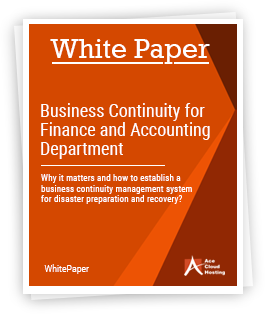 This whitepaper gives a practical layout of how a firm (of any size or industry) can deploy a business continuity plan for their Finance and Accounts department. It takes into consideration that some processes cannot hold the disruption of even an hour while some other do not face impact even after days of unavailability. It lists the examples specific to Finance and Accounts departments to explain the criticality of the risks and then to implement a plan to maintain the uninterrupted services. 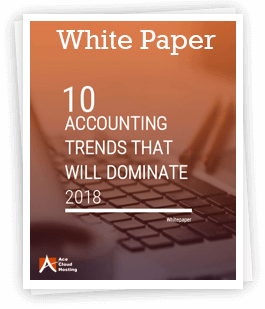 This whitepaper analyzes the latest trends of 2018 that will be part of the constantly evolving accounting industry. It discusses how the cloud will hold its place as a significant contributor to the accounting evolution with Big Data and Internet of Things showing their prominence. Use of portable devices to access the accounting process remotely will improve mobility. Social media will have a larger impact than ever for the accounting industry. Client Acquisition and Retention are two significant factors that keep a business growing and help reach its utmost potential. However, with the competitive nature of the market, you must be two steps ahead of the rest. 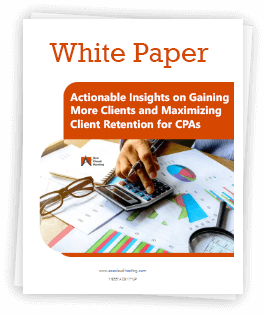 This whitepaper sheds light on all the marketing strategies that you can deploy before, during and after the tax season to acquire and retain clients. Accounting professionals are responsible for the customers’ confidential information, like balance sheets, transactions, and payment information. It is no surprise that security is the primary concern for any accounting firm. 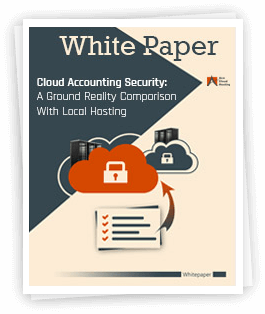 This whitepaper offers a detailed review of the security specifications deployed by the cloud provider and its comparison with local infrastructure. As most major accounting firms are making their move to the cloud from the traditional local infrastructure, it is essential to understand benefits of cloud computing. 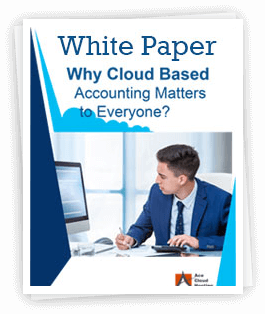 This whitepaper sheds light on the benefits of cloud for accounting businesses and its role in enhancing data security. It also discusses the challenges faced in the promotion of cloud accounting. How CPAs Can Take Up Personalized Financial Planning? 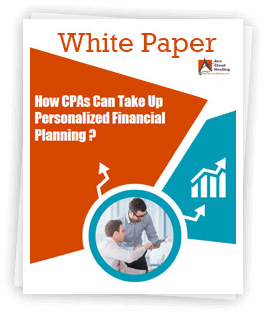 This whitepaper revolves around how the CPA can be more versatile and take up diverse roles such as Personal Financial Planning (PFP) which will lead to their brand enhancement, revenue generation and strengthen the relationship with clients. It also discusses the main types of PFP services and the various aspects associated with it. Why Cloud Based Accounting Matters to Everyone? 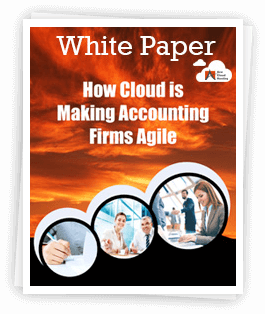 This whitepaper offers insights into the critical aspects of cloud-based accounting for accounting professionals and businesses. It discusses the early stages of computer-based accounting and the evolution of accounting in the cloud environment. It digs deep into the benefits of cloud accounting over the on-device software for individuals as well as business firms. QuickBooks is versatile accounting software that performs several accounting-related functions with ease. However, integrating it with the cloud infrastructure enhances its capabilities exponentially. 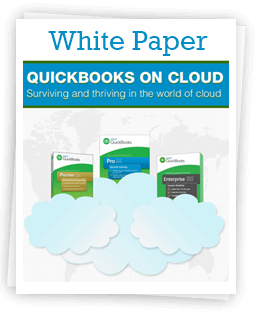 This whitepaper discusses all the major benefits of QuickBooks cloud hosting and the tips on how to choose the right QuickBooks provider for your business. Green Computing is the term used to describe the computing practices that are environment-friendly and promotes energy-optimization. 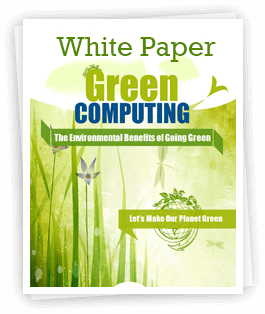 This whitepaper discusses the basic concepts of Green Computing and the benefits that it has to offer. It also analyzes the various aspects that have led to the necessity of Green Computing and how it can be implemented in regular practice.